Having released their full length album, ‘Good Talk’ earlier this year, (T-T)b are back with another EP. If you haven’t heard (T-T)b, then check out my other review of ‘Good Talk’. 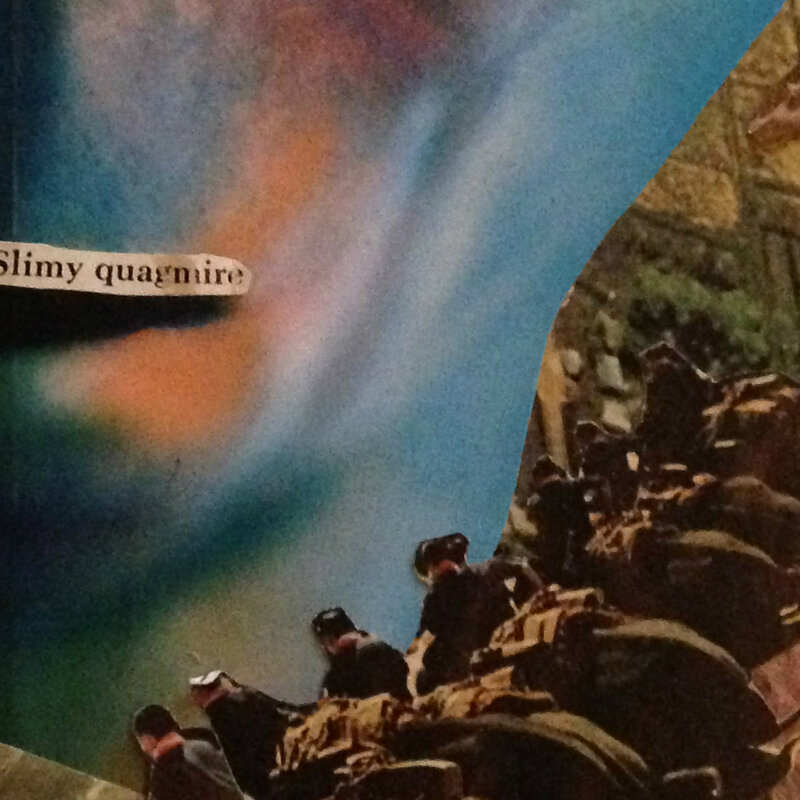 (T-T)b’s newest album, ‘Slimy Quagmire’ is a lot more different than ‘Good Talk’, sounding more like music from the band, ‘Pavement’, with the welcome addition of funny vocals. You can really hear this in the 2nd Song, ‘Knuckle Head’, a great sweet track. It features some real pulsing bass & guitar, further back up by the bass of their old NES, whilst also supplying bendy leads. The lyrics go on about describing the dad of the singer, Joey, on how he was nick named, ‘Knuckle Head’ and the adventures both of them got up to. ‘Knuckle Head’ is also a track which doesn’t entirely focus on the chiptune & gameboy too much, allowing the guitar more room to for a cool solo. All these tracks are extremely short but deliver a clear & cool message, whilst acting goofy and funny at the same time. ‘Drained’ is a good example of this. One other good track which sets itself from the rest is, ‘Better’ and features guest vocalist, ‘Shannon Keelan’ who takes the lead. It’s a nice change of pace and allows the track to be unique with a female singer. The guitar & bass are also more reserved and relaxing, allowing Shannon to be heard more clearly. The lyrics are simple, basically speaking about how the singer is better than you, and even though their ‘cliche’, they’re ‘okay’. ‘Slimy Quagmire’ is a fantastic progression in (T-T)b’s next step if music, with the voclas & lyrics being a big welcome to the style. Even though ‘Good Talk’ allowed (T-T)b to work on their music style of ‘college rock’ & ‘chiptune’, ‘Slimy Quagmire’ allows more of the masses to connect with the band, more so with the incredibly relatable & goofy vocals. All proceeds of ‘Slimy Quagmire’ go to American Civil Liberties Union for the month of December, so be a good person and buy the album!